Today is Cinco de Mayo, a celebration that is observed each year on May 5. It’s a holiday that celebrates the Mexican army’s victory, on May 5, 1862, over France at the Battle of Puebla during the Franco-Mexican War (1861-1867). A relatively minor holiday in Mexico, in the United States, Cinco do Mayo has evolved into a commemoration of Mexican culture and heritage. A great way to celebrate this holiday is with your favorite Mexican food and drinks. 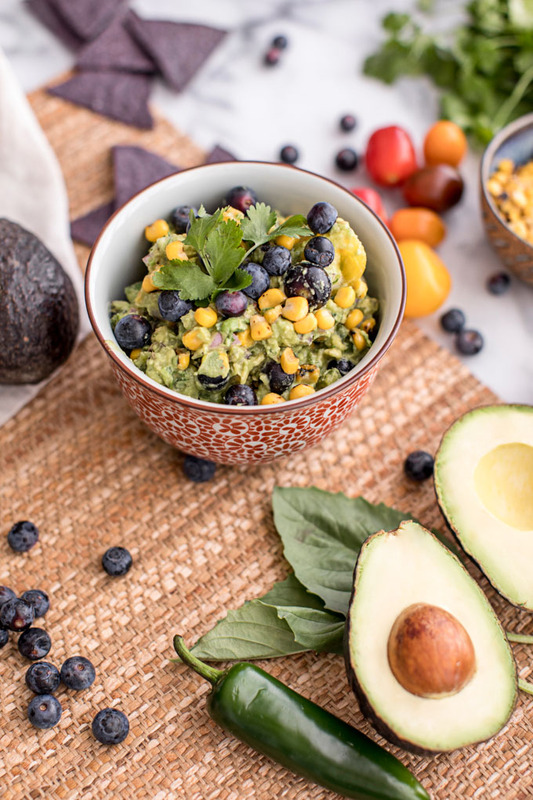 Today we have a delicious Blueberry Guacamole recipe from USHBC. Pair this guacamole with your favorite chips and salsa and you’re ready to celebrate.